Once you choose a section you can drill down into a specific topic, view it in the extension and even open the actual page in a new browser tab. 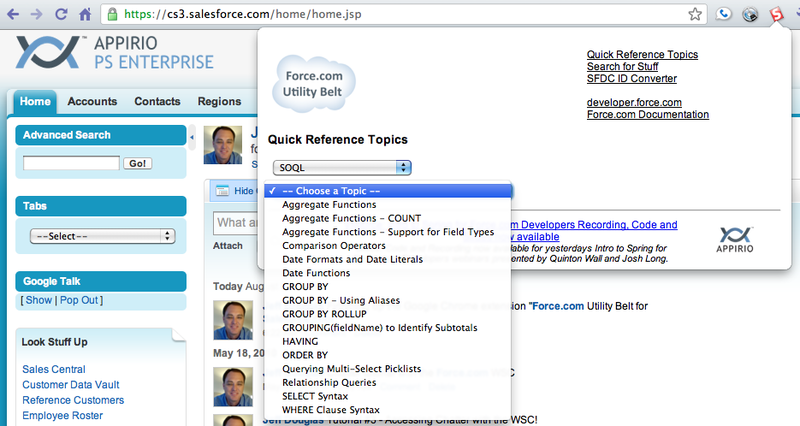 Since the Quick Reference Topics don't include access to every topic in the Salesforce documentation, you need a convenient way to search for stuff. The search interface allows you to select a scope and perform a keyword search against the specific site. The results are displayed in a new browser tab. Due to popular demand, the following sites are searchable. The ID Converter is from my original extension so I rolled it into this one for convenience. 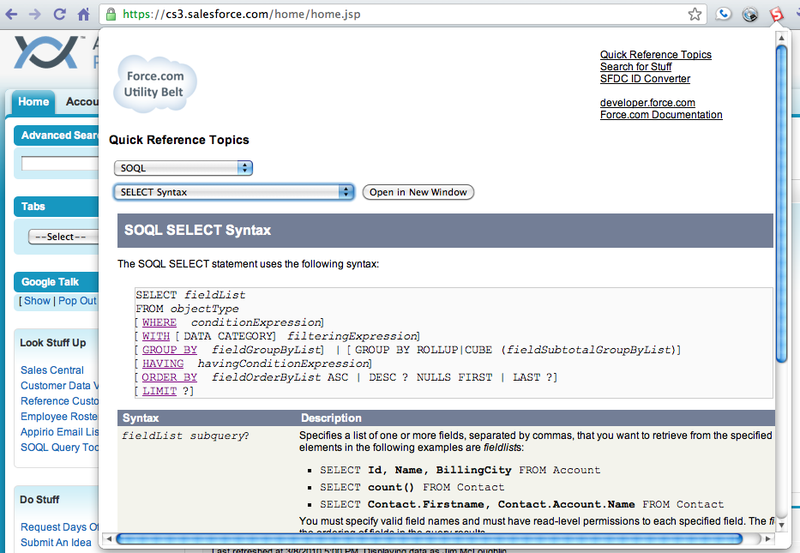 It allows you to quickly create an 18 digit Salesforce ID from a 15 digit ID. Based upon some feedback I made a small change so that the extension tries to find a 15 digit ID from the tab's current URL and pre-populate the conversion form field. Please send me your feedback and suggestions for improvements.